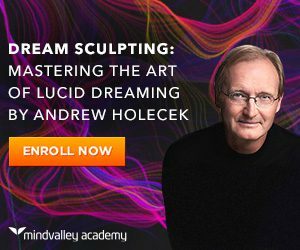 →Andrew Holecek’s Dream Sculpting Review – How Good Is It? I must say, dream sculpting program was a game changer for me, it took my lucid dreaming skills to a different level. That does not mean that it is not meant for beginners, some of my readers have reported great success with this program in getting their first few vivid lucid dreaming experiences. I was well familiar with Andrew’s works before I opted for this program, he is a very famous name in the cult of conscious dreaming and his works on dream yoga is something that has always been my favorite. Then I stumbled upon this program from Mindvalley, and I think it really is one of the best materials I have ever found on lucid dreaming. Dream sculpting course is a six-week program designed by Andrew with his knowledge about the art of lucid dreaming which he has learned from various avenues which include the dream control methods of the modern world and the ancient spiritual wisdom of the Buddhist traditions. Andrew Holecek will be sharing with you the basic techniques for inducing your first lucid dream to the advanced ones where you can master your inner world, it goes from the beginner level to the expert level. The program is designed to help even those people who don’t remember their dreams to fully enjoy their virtual dream world like a real life experience and make use of it for greater purposes. Moreover, it helps you to know your inner world better which means that you will be able to fix things that are resulting into imbalanced emotional states in your waking life like, anger, depression or frustrations. I loved it that I learned how to use lucid dreams for my personal growth, this course will show you how you can train your mind to change your behavior patterns in ways to achieve better results in any particular area of your life. You will also learn to get creative ideas and solutions for your problems from the infinite intelligence with the help of lucid dreaming using these methods. The main part of this program are the six mastering the art of lucid dreaming modules that you will access one by one for six weeks, these modules are so prepared that it keeps you engaged in lucid dreaming activities each day. Every module has one main lecture from Andrew where he teaches you everything you need to know about your dream world, lucid dreaming, and his techniques. There are also audios for guidances and exercises which you are supposed to use as an action step. You also get Q&A session where you can ask all your queries, you will also be given access to the online community of lucid dreamers where you can discuss and learn from the fellow members following this program. As you might have already figured out, I am very much positive about the program, in fact,I am so happy with the results that I have been recommending it a lot on my blog from past few days. I was actually looking for a working online program for lucid dreaming from a long time so that I can try it out and then suggest it to people who are looking for a high-quality stuff, well this is it. The maker guarantees that you can learn lucid dreaming within 6 six weeks, unfortunately, this program was not available at the time when I was learning to become conscious in my dreams but it has taught me a lot of advanced things about which earlier I have only read in books. You see, my website’s contents often talk about altering inner beliefs so that one could get better in any particular area of his life, and for that purpose, I mostly have used the energy clearing methods. But I have always known that lucid dreaming gives us an opportunity to do this more effectively, however, I never knew how to work on my subconscious mind in dreams until I learned it from this program and that’s why I loved it so much. You won’t believe, I have even tried creative visualization type of exercise in dreams from what I learned here, in dreams the emotions are very real like because you are actually living a virtual reality and the effect is also very strong compared to usual visualization methods. What really puts Andrew’s dream sculpting on a different level is that he uses a simple fact that most of the materials on lucid dreaming misses, our conscious awareness in the waking life is what we take with us in our dream world! 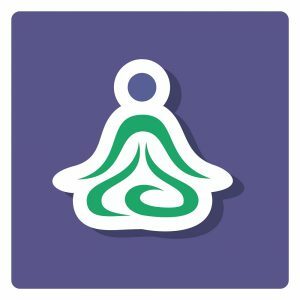 So this program will teach you how to be more conscious in your daily life, this will naturally help you develop spiritually and intellectually as well. Lucid dreaming is undoubtedly one of the best tools using which you can evolve spiritually, achieve your real life goals and be more joyful, and that’s the main focus of this program which definitely makes me say that it definitely is the best online course on conscious dreaming and I give you the guarantee that you will be benefitted from this program if you will follow it regularly even under the refund period. Here’s Andrew Holecek’s video where he mentions that we spend about 1/3 of our lives sleeping and the practices you do in dreams are 9 times more effective, that’s what made me enroll in this program.